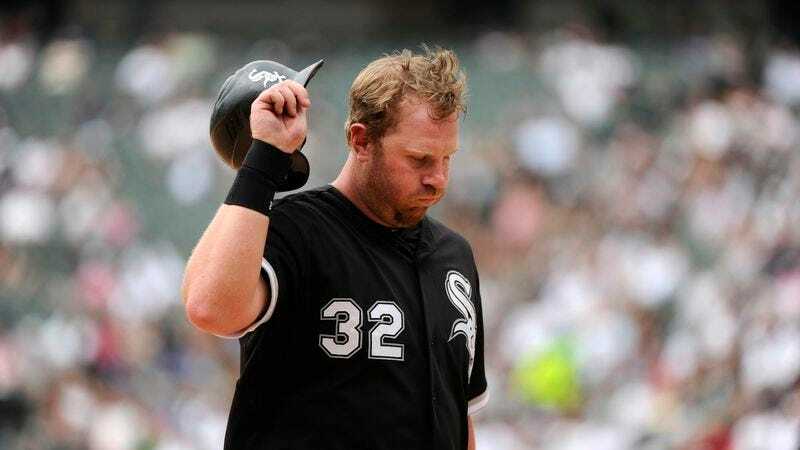 CHICAGO—After his batting average slumped to a historically low .163 this week, White Sox DH Adam Dunn received an official notice from Major League Baseball Thursday informing him that he no longer met the minimum requirements to be labeled an official baseball player. "He's certainly allowed to continue playing baseball, but he cannot legally refer to himself as a 'baseball player,'" an MLB spokesperson said in a statement, adding that Dunn would now be called what the league refers to as a ‘baseball participant.’ “We are confident Adam will eventually regain his abilities. For now, however, we think it's best to disassociate his horrible hitting from the great game of baseball." When asked for comment, Dunn expressed relief and claimed that joining the ranks of players like Mike Cameron and Jorge Posada would at least take some pressure off of him.